Collection of 120 peer-reviewed papers that were presented at the 3rd International Conference on Advanced Research in Virtual and Rapid Prototyping, held in Leiria, Portugal in September 2007. Essential reading for all those working on V&RP, focused on inducing increased collaboration between industry and academia. 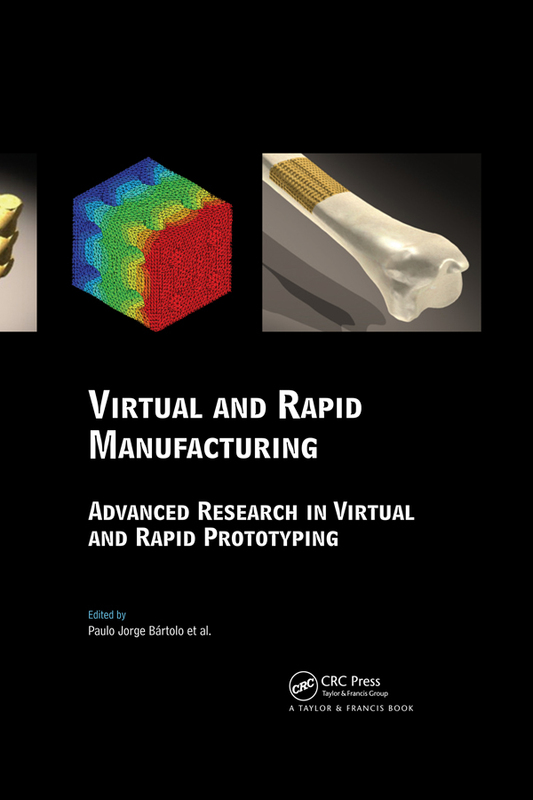 In addition to keynotes dealing with cutting-edge manufacturing engineering issues, contributions deal with topical research virtual and rapid prototyping (V&RP), such as: 1. biomanufacturing, 2. CAD and 3D data acquistion technologies, 3. materials, 4. rapid tooling and manufacturing, 6. advanced rapid prototyping technologies and nanofabrication, 7. virtual environments, 8. collaborative design and engineering and 9. various applications. Digital fabrication in the arts: Just another technical reproduction advance leap or a new artistic revolution? Whither one of a kind? Custom design, more than custom to fit! Paulo Bartolo is Professor of Advanced Manufacturing Processes at the Polytechnic Institute of Leiria (IPL), Portugal, and Head of the Mechanical Engineering Department at the School of Technology and Management of IPL. He is Co-Director of the Postgraduate Research Centre at IPL, Fellow of the Institute of Polymers and Composites at the University of Minho (Portugal), Advisor of the Portuguese Agency for the Development and Innovation and President of the Portuguese Rapid Prototyping Association. He is Editor in Chief of Virtual & Physical Prototyping www.tandf.co.uk/journals/titles/17452759.asp.